Round neck pullover by LOUIS SAYN: soft and pleasant on the skin, made from extra-long staple SUPIMA® cotton from the sun-drenched southern US states. Elaborate purl knit with striking block stripes, rolled edging at the neckline and shape-retaining ribbed hems. 100% cotton. 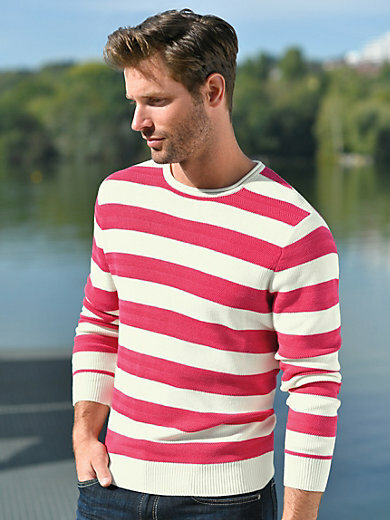 The round neck pullover is machine washable.